Project Management is the key and a critical business/technical role today. Skilled Project Managers are heavily wanted today since the global production is turning from functional / operational to projectised. Especially in high technology business the Project Manager is almost the most wanted professional above any other technical role based on recent research and payment statistics. UPDATE: The content of this workshop is now available at http://TheProjectLeaders.org. For a short period of time Early Bird Tickets are available, so hurry up to book your registration! What is a skilled project manager? Project Management is not only leadership and management but also technical discipline with methodologies, techniques and tools. The Project Manager should know all methods, best practices and available tools in order to be able to decide/propose what fits and to tailor-make properly. There is no way to succeed without this knowledge. If someone knows just one method this is like knowing to use only one tool from a large toolbox, and s/he will never be considered a professional. In this workshop we will see how we can use every tool from the toolbox for optimum results. 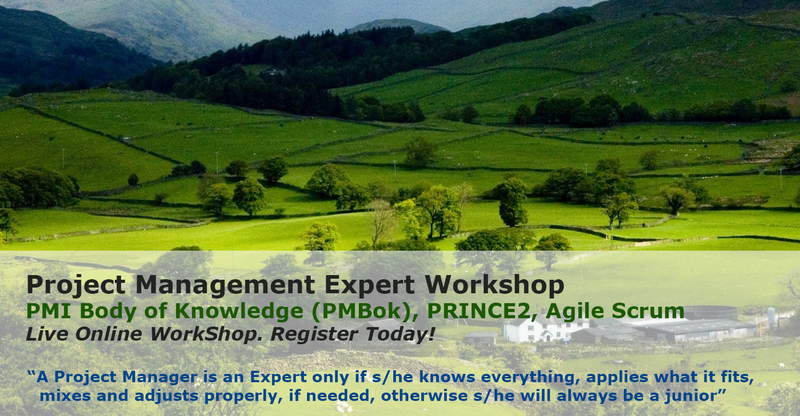 This workshop will cover the PMI PMBok best practices, the PRINCE2 methodology, the Agile Scrum methodology, Hybrid Methods and related tools. While most training courses focus on just one methodology this one will cover the most common methodologies and best practices and will extend to relevant tools and techniques. Also, we will discuss how to choose what fits best based on project characteristics, how you can mix in order to create a hybrid model (based on latest statistics this brings the best success rates) and how to tailor-make. Following a successful completion, the workshop participants will receive an electronic Certificate of Attendance. The workshop will be delivered in English. Spyros Ktenas, PM Officer, Senior Project Manager IT & Business, MBA, BSc, PMI-PfMP, PRINCE2, PMI-ACP, Google Qualified, Drupal Assoc. More than one hundred projects, the first PfMP in southeastern Europe. Meet the coordinator at linkedIn, facebook, or view his online CV.